In addition to His preaching and teaching in Galilee, Jesus heals all kinds of diseases and afflictions in the people who follow Him. In today’s passage, Matthew summarizes Jesus’ public ministry in Galilee, an area encompassing 2,800 square miles. Covering this region is no small undertaking, says one commentator, because Jesus, if He moves rapidly and visits two cities a day, will need more than three months to visit every town and village! Jesus is met with much acclaim during the time He spends preaching and teaching in Galilee. Matthew tells us that “great crowds” from the Decapolis and from beyond the Jordan follow the Christ, along with many citizens from Jerusalem and Judea (4:24–25). The Decapolis is a group of about ten cities included within the Roman province of Syria in Jesus’ day. These are predominantly Gentile cities, and so again we see how the nations, in addition to the Israelites, come to Jesus from the very start of His ministry (2:1–12). Today’s passage sets the stage for the Sermon on the Mount. Matthew 4:23–25 is an overview of Jesus’ ministry, implying that the sermon is only a sample of His Galilean teaching, not an exhaustive account. An itinerant preacher, our Savior repeats the same basic content in different settings, adapting and applying His same message to various audiences. 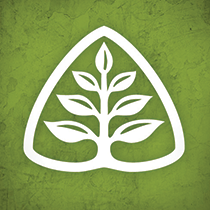 Thus, it is not surprising that Jesus’ teaching varies some from one gospel to another. His central message is “the gospel of the kingdom” (v. 23) — the decisive intrusion of God’s saving presence into this world through the Messiah’s life, death, and resurrection. Along with teaching, Jesus heals all kinds of diseases and afflictions (v. 24). Note that these healings are not simply healings for healings’ sake. Rather, they validate the message of Jesus and vindicate Him as the Father’s emissary. As Dr. R.C. 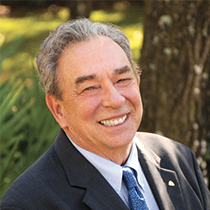 Sproul teaches, miracles “prove or attest [God’s] agents of divine revelation (Heb. 2:3–4)” (Essential Truths of the Christian Faith, p. 66). John Calvin says in his commentary on Matthew that “when Christ miraculously healed them, he proved his divinity.” This is especially true of Jesus’ exorcisms. In casting out demons, Jesus shows Himself as the usurper of Satan’s authority and reveals Himself as the rightful representative of the sovereign Creator who has come to rule over His people. If the preaching of the Gospel was central to the ministry of Jesus, we dare not suffer under the delusion that we are being faithful to His example if we fail to preach the Gospel today. As Christians, we are called to preach the good news, if not as part of a formal call to ministry then as a part of our everyday interactions with friends and family. It is also important to encourage those pastors who labor in the faithful exposition of God’s Word.